The folks over at Nettuts+ have posted today what promises to be the best PSD to HTML to WordPress Video tutorial series ever. To access this series, you need to be a member of the tuts+ network, one of the sponsors of our MODx Blog Contest. Joining the tuts+ network is easy, it will cost you only $9 a month, or $22 for three months (better deal), or $78 for a year (best deal), and gives you access to the entire tuts+ network premium tutorials. This is not something you want to miss. You don’t need to have ever sliced a PSD before, or be an expert at PHP, HTML or CSS to follow this series. The knowledge you will gain from this series alone is way worth more than the $22 for a three month membership, so what are you waiting for?? 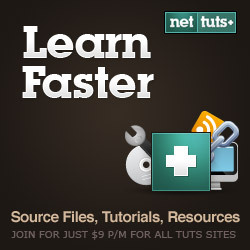 Join the tuts+ network today and get started!! I have not seen all the video disappeared. you have anything saved? The videos are definitely still available on the NETTUTS PLUS site but you have to be a PLUS member of the TUTS plus network to access them. It’s $9 a month but you get access to all the TUTS plus sites. Definitely a deal. Just follow the links on the posts to join, and then once you log in as a PLUS member you will be able to have access to them.